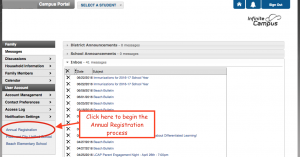 The 2017-18 Annual Registration system is open now! 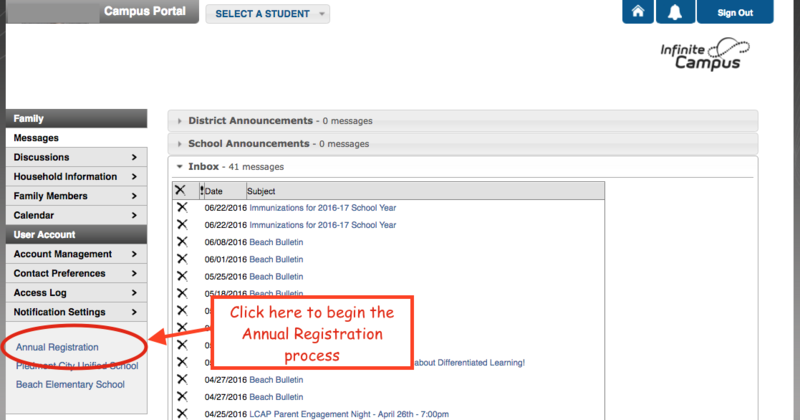 The Annual Registration process is our method for collecting updated information about all students and their families, and serves to combine many notices, mandates and donations into an easy process. One member of a student’s family should complete the Annual Registration before 8/14, preferably by August 8th. 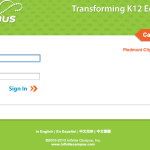 Step 2: After Infinite Campus is completed, families will immediately receive an email with login info for our activity and e-commerce site, PiedmontStore.com. It is here that families can order PE uniforms, materials for classes, and find out about parent and support club memberships and activities. – For elementary families that complete Annual Registration, an email will be sent out with student homeroom information on August 11th. 3. Watch for an email notifying you about Part 2, our activity and e-commerce site, PiedmontStore.com. 1. 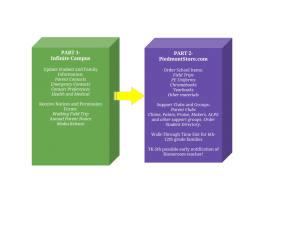 Immediately after submitting Part I in Infinite Campus you will receive an email with details about Part 2. 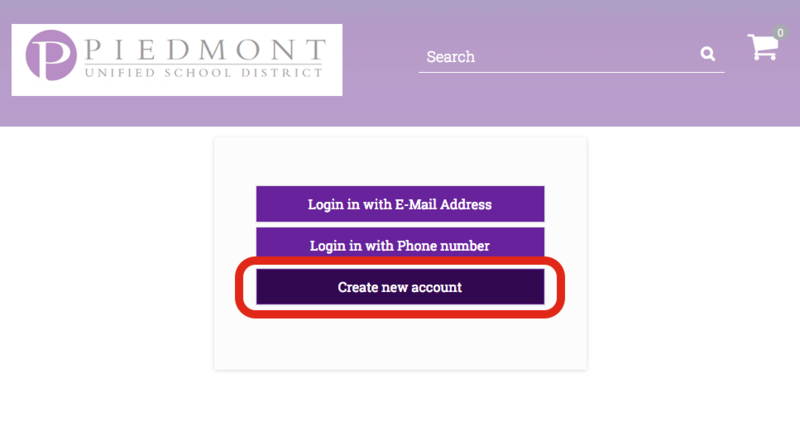 Follow the emailed instructions to login to the PiedmontStore. Make donations for school supplies and activities and connect with community support groups. Sign up for a walk-through time slot (6th-12th grade families), and get student homeroom information (TK-5th graders) emailed to you on the afternoon of the Friday before school starts. 2. 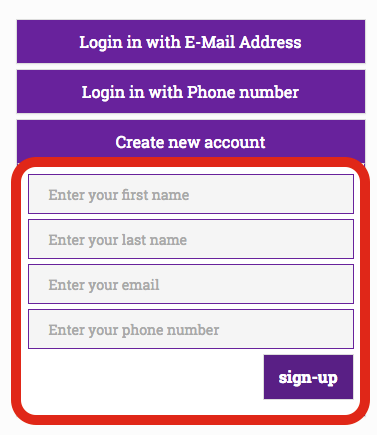 After entering your cell phone number and email address, click sign up! 3. Choose one method to login. The site will send an access code either as a text message or an email. Enter the number and your initial account will be created. 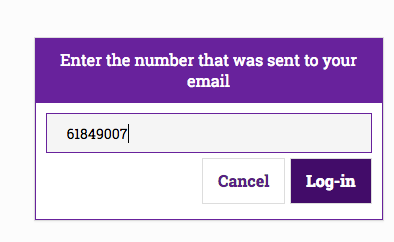 When you return to the website, you will only need to enter your email address or cell phone number. The site will send you a new 8 digit number each time you want to access the site securely. No more passwords to forget! 4. Once in, you need to associate your children with your account. 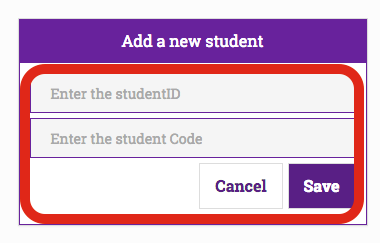 Click add student, and enter the codes sent in the automated email you received from Infinite Campus when you completed Part I. You will need to associate each student to your account.